Valentine’s Day is almost here! And, I don’t know about you, but I have always loved this holiday. I loved the school parties, exchanging those hand-picked cartoon valentines and, then, later in life, planning fun little dinners for my husband, and now, for my kids. To be clear, I never thought about Valentine’s Day as a day set aside solely for couples, I’ve always thought it was for EVERYONE, as it should be. So, whether you’ve been married for an eternity, just getting started with a significant other, celebrating Galentine’s Day with your best gals, or are in elementary school just awaiting all the treats, this story is for you, because you are so loved! We are often so worried about relationships and being liked that we forget we are in fact already loved, and by so many! So, let’s return some of the love and make others feel special, too! So, apparently there’s a love language. Did you know that? I only recently learned that there isn’t just one, there are five of them! Here they are in case you were clueless like I was: Words of Affirmation, Gifts, Acts of Service, Quality Time and Physical Touch. Some people respond to one love language better than another. But, lucky you, we are going to hit ALL of them with these desserts, so there will be no way your recipient won’t feel loved. Oh, and they forgot chocolate because that is totally a love language, too. Don’t believe me? Go give someone chocolate for no reason at all and see what happens. 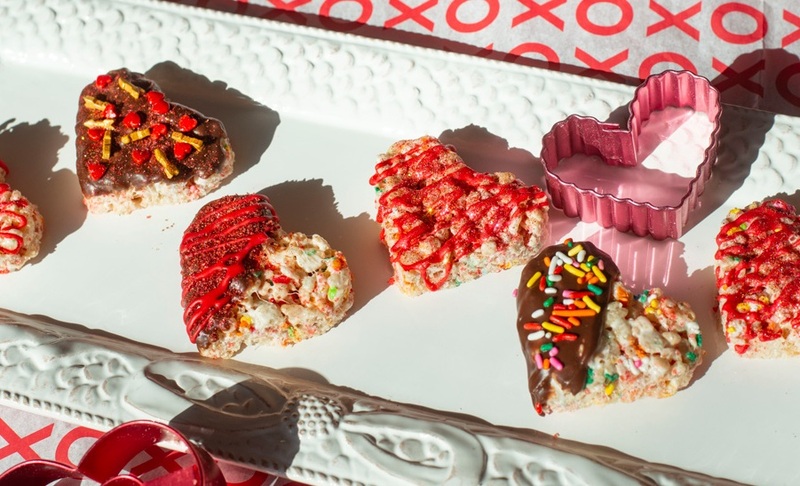 Because Valentine’s Day is for everyone, I think these desserts should be for everyone, too! The first one can certainly feed a crowd, but because it’s so rich and decadent, you might not want to share. 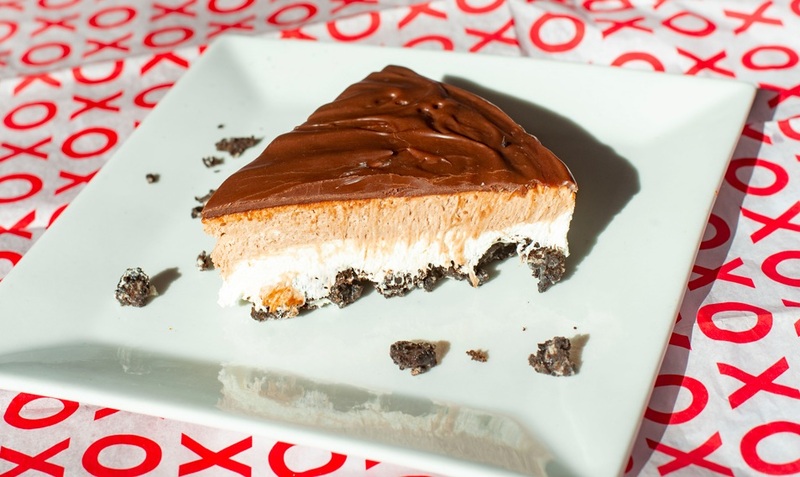 The No Bake Double Chocolate Cheesecake is a cinch to make. We’ve done enough baking over the holidays, so let's give our ovens a break and let the mixer and fridge do all the heavy lifting here. 1. Finely crush Oreo cookies in either a food processor or hand-crush in a large Ziploc bag. 2. Add melted butter and mix through until combined. 3. Press crumbs into the bottom of a lightly greased 9-inch springform pan. 4. Place the pan in the fridge or freezer to cool while working on the rest of the ingredients. 5. Make the filling: Melt the 10 ounces of chopped chocolate and set aside to cool. 6. In a medium bowl, blend cream cheese and powdered sugar until smooth. 7. In another bowl, beat heavy cream with vanilla until stiff peaks form, be careful not to overmix. 8. Fold the whipped cream into the cream cheese mixture and divide into half by placing half of the mixture into the now-empty whipped cream bowl. 9. In the first half, mix in the melted chocolate, then pour the chocolate filling into the pan on top of the crust. 10. Add the remaining filling on top of the chocolate filling and place in fridge for at least an hour. 11. Make the ganache: While the cheesecake is cooling, stir together the ganache ingredients in a small saucepan over medium heat, until fully combined. 12. Pour over cooled cheesecake and serve when desired. Hopefully the cheesecake will keep your loved ones feeling happy and full, but what about those fun school parties I mentioned earlier? Sure, you could send store-bought treats and candies and that would be perfectly fine, but what if you happened to have just a smidge of extra time on your hands and wanted to whip up something easy, familiar and fun for the kiddos? Well, this next dessert will be easy to create because chances are you have already made this treat growing up, and with a whimsical little twist, you can reintroduce them to co-workers or a class party. I have made these treats more times than I could ever count, and although I obviously didn’t invent these, I make them as if my career depends on them. And, they never last more than a day. For a twist on this treat, I add sprinkles to the mix, dip in chocolate melts and decorate with cute messages or more sprinkles. Kids love when you place these on a popsicle stick because who doesn’t love a handheld treat? 1. Lightly butter a rimmed baking sheet or pan and set aside. 2. In a large pot, melt the butter on medium heat until slightly browned. 3. Add in the marshmallows and vanilla, and stir until melted. 4. Add in the cereal and sprinkles and stir until fully coated with marshmallow mixture. 5. Immediately pour mixture into the buttered pan and press to flatted mixture. If the mixture becomes too sticky, rub a little butter on your hands or spatula and continue pressing flat. 6. Once mixture has cooled and hardened slightly, use a heart cookie cutter to cut out shapes and set aside.